High quality components for a simple upgrade. Another excellent product Maestro models, and is very simple to install the set. 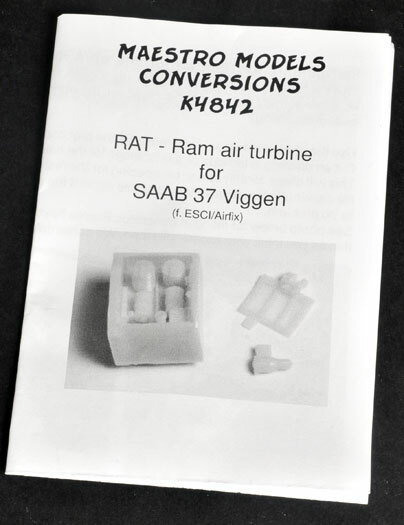 Maestro continues along the line of producing upgrades and add-ons for the venerable 1/48 scale Esci/Airfix SAAB Viggen kit. This time they have produced a simple add-on to display the RAT (Ram Air Turbine) in the deployed position. 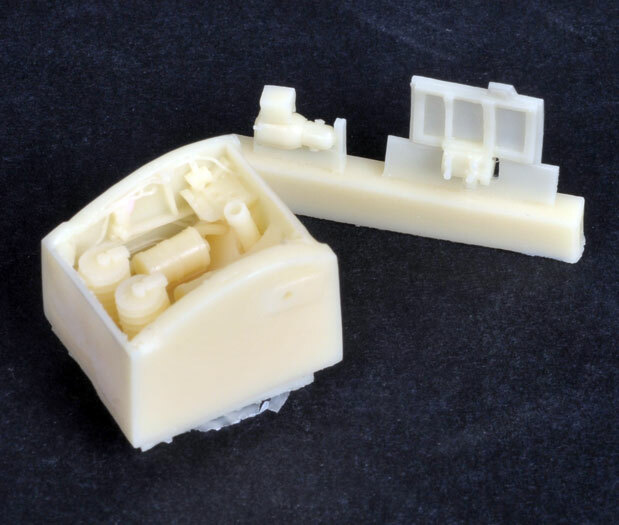 Crisply moulded in a pale cream coloured resin, the kit includes the RAT bay, fuselage door and the RAT itself. The kit will require minor surgery to remove the moulded panel just in front of the wing on the left hand side of the fuselage. I would also thin down the platic fuselage wall to give a more accurate fuselage fin thickness. This is a relatively simple addition to the kit and adds to the realism of the model. Overall, another excellent product Maestro models and is very simple to install the set.